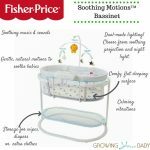 Fisher-Price’s Soothing Motions Bassinet offers parents new ways to soothe and comfort their babies. 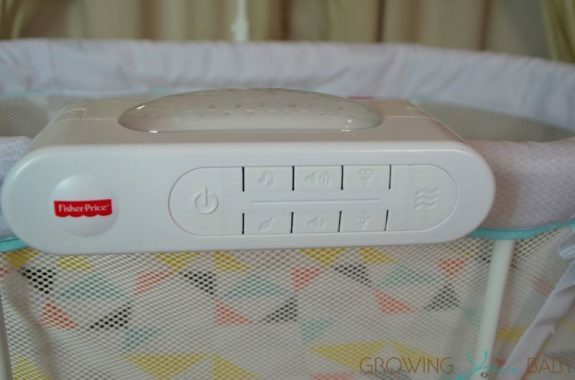 Different from anything on the market, it’s surrounded by mesh for better airflow and includes a ceiling projector to give your baby something to gaze at as they are drifting off to sleep. Out of the box, parents will be happy to know you don’t need any tools to put this bassinet together. All of the pieces snap together and the whole unit can be assembled in just 20 minutes. Designed for babies from birth to approximately 25lb or when they’re strong enough to push themselves up, this bassinet is a great secondary sleeping space for parents who want a bed in the living room or something in their room. Ours is in the Jonathon Adler print, which I love. Not completely stationary, the bed sits on belts that allow it to float. This also gives it the ability to move is many natural directions for soothing. 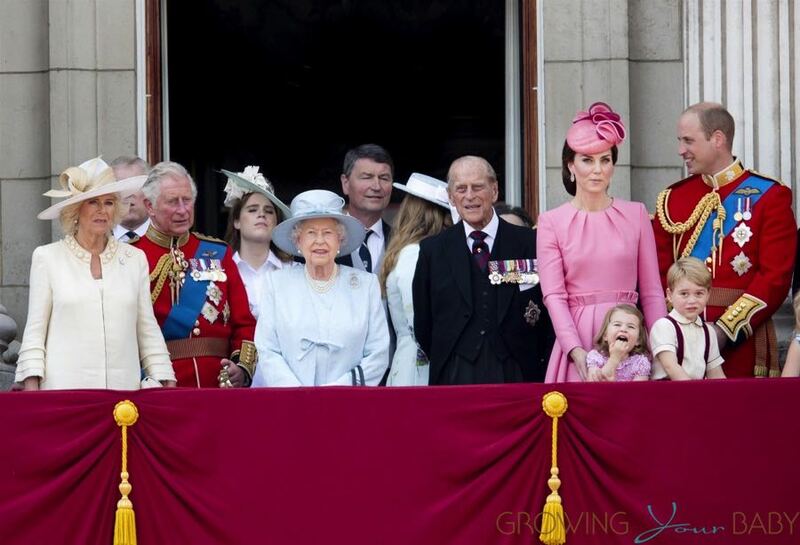 Parents can rock it back and forth, side to side or around in a circle if that’s what makes your baby happy. The frame does surround the bed so there are limitations as to how far you can rock it in each direction. Inside there’s a padded mattress with a cover that can be removed and machine washed if your baby spits up or has a blow out. Over top is a mobile that swings and spins with the natural motion of the bed. So if your baby is kicking their feet the mobile will start to move. 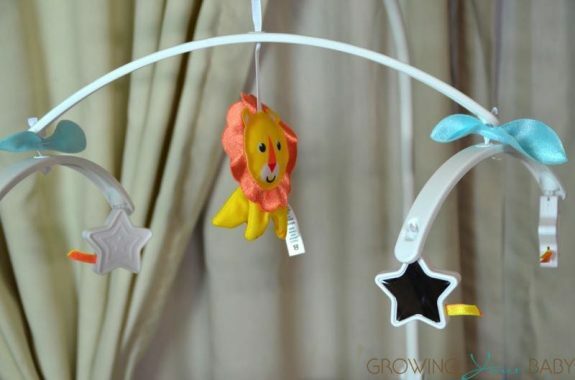 The mobile was created with two extensions and their signature lion in the middle. On each side there are stars with mirrors in them , which matches the stars the projector displays on the ceiling. The center console or soothing center gives parents the option to play melodies or nature sounds or add vibration to the bed. 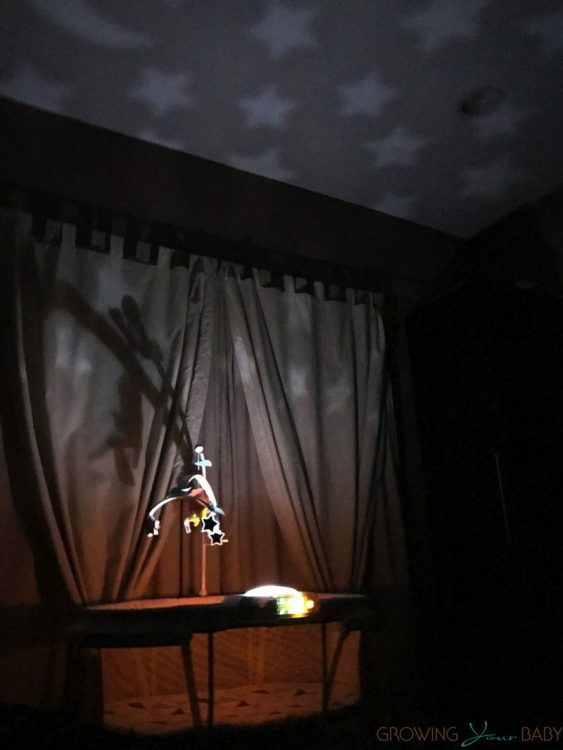 On top of offering the projection, there is also a secondary light positioned inside the bed. Underneath the bed you can store diapers, wipes or a change of clothes on the mesh shelf. 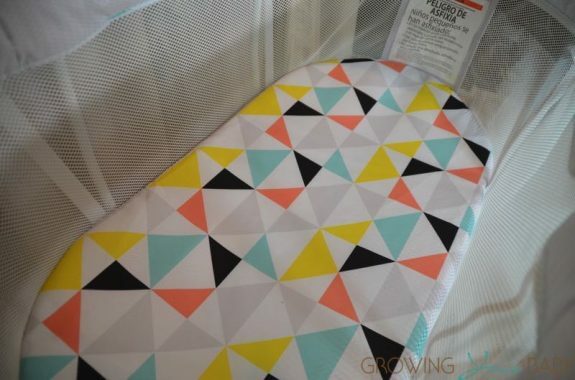 The whole bassinet sits on a sturdy oval frame that keeps the until stable while you’re rocking it. Fisher-Price has packed a lot of great features into this bed. 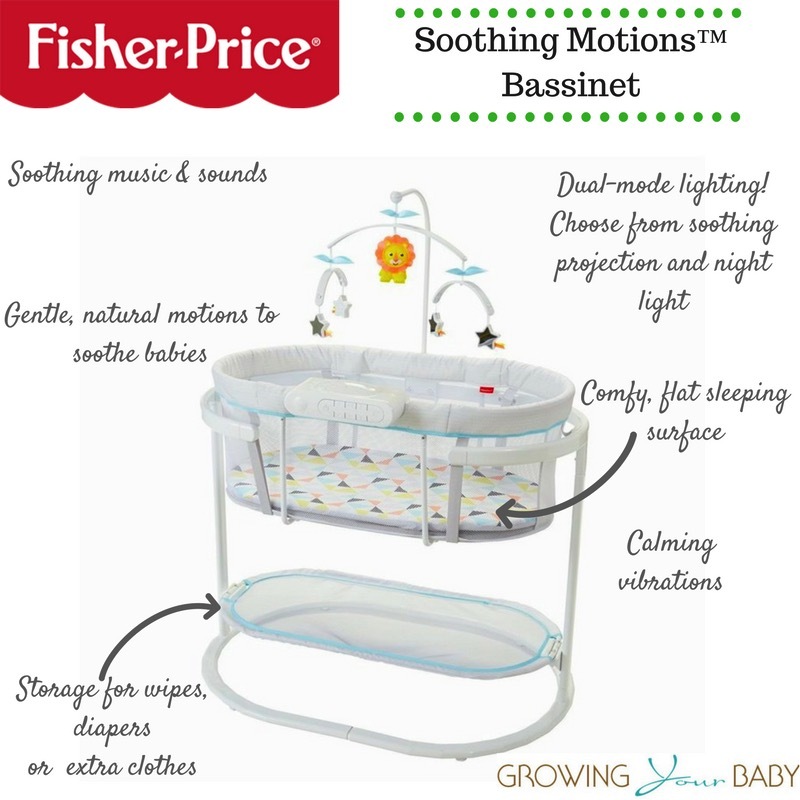 Priced at $150US, it is on par with many standard bassinets on the market with less options.